"Creation of the stringed instruments collection, accomplished by the sole violin maker M. Putsentela for the chamber orchestra "Lviv Virtuosos", makes strategic sense for the development of music art in Ukraine. The experiment bears a professional and aesthetic significance that exceeds the geographical borders of one country. The sounding of the instrumental ensemble united by the general constructive and philosophic idea grants the possibility to perceive the richness of tone palette and the beauty inherent of the performed musical compositions. The collection constituting an honorable heritage of the Ukrainian violin maker is, as well, an achievement of the Ukrainian culture in general. The Italian Association of Stringed Instruments Makers always supports its members, who familiarize the world with the knowledge gained in our acclaimed Cremonese workshop that originates from the outstanding figures of Amati, Stradivari, and Guarneri." ... in this case, we may emphasize the quality of varnish colour, its evenness, depth, and gloss, which signify the high quality of varnish chemical composition. The characteristic features, particularly, the construction accuracy observed in making the model, in making the f-holes and in the sculpture of the violin "head", confirm that the instrument was accomplished in the manner of the Violin-making school of Cremona. My appraisal of the instrument is very positive and I consider that the model should be registered for participation in competitions..."
"Your instruments sound tremendous. The smooth and rich tone colouring is impressive! Accept my sincere congratulations on the occasion of such a creative achievement!" "... I play up the violin, which I recently brought from you, and derive a great joy from it coming to life and charming me with its voice every day..."
Washington D.C. USA. Washington National Opera Orchestra, National Symphony Orchestra. "Having performed on Mr. Putsentela's violins we can speak only the best of the instruments! Exceptionally beautiful to the eye with full, rich and warm tone, as well as seamlessly easy to play! Mr. Putsentela's creations are great solution for anyone who is looking for the sound and craftsmanship of the Old Masters in a modern violin. With warmest congratulations, ..."
"There are few modern makers that appreciate the aesthetic both of robustness and flexibility of sound in an instrument. Mr Putsentela is an exception not only in this but in his ability to craft really beautiful and perfectly created instruments for our age. The detail of his instruments is part of the beautiful sound character that his instruments have been created with and it is a joy to know hat such a fine maker is now offering his instruments to players around the World. I am thrilled that such a fine maker is making a reputation as one of the finest makers of our age." "I can not tell you what a pleasure it is to play on your extraordinary violin. Besides being very beautiful it has a gorgeous warm and powerful sound. Its response is extremely fast and playing in tune on this violin is very easy because of the exact workmanship and by the way the instrument rings. I played the violin on the stage of the concert hall of the Kennedy Center and had a colleague go and listen. We both were very impressed by its projection on all registers. It clearly has the sound quality that is very italian and even when playing softly it still projects, which is the trademark of a great instrument. I look forward to continue playing this instrument for many, many years to come and seeing how it will further develop as it ages and is played more and more. Again, thank you so much for this fantastic instrument. Best wishes and my congratulations for your skill and expertise." "A truly delightful instrument! Full, rich and even sound, very easy to play! Many thanks to the Putsenteli!" "I have owned a violin made by Myroslav Putsentela since 2007. There is always a danger with buying a brand new violin: its tone either going to improve or start deteriorating over time. The tone of my violin, beautiful to start with, has improved greatly since I bought the instrument. My Putsentela violin is a very powerful instrument. It produces a rich and at the same time bright tone and is impressively even over all the registers. It also projects wonderfully into large concert halls. I particularly like to play this violin when I perform as a soloist with orchestra. Even in concertos with dense orchestral scores such as Tchaikovsky or Sibelius violin concertos, my Putsentela violin is always on top. In my opinion, one of the most important aspect of violin playing is to be able to appeal and to speak to the audience through your instrument. The Putsentela instrument makes this task easier. It responds to my touch extremely well on different levels of dynamics. I am very happy to be the owner of such beautiful instrument!" "I love my Putsentela violin. I have owned violins by Tononi, Vuillaume and Testore and I find the Putsentela the easiest to play. The violin has a big sound and is even over all 4 strings. I am very grateful to Mr. Putsentela. "My Putsenteli violin is so easy to play and best of all, reliable! I can produce the kind of sound to project or blend in easily in any settings. Everyone should play on a Putsenteli violin! " "The violin is excellent in every aspect. The tone is consistent across all four strings and in all positions, a full, ringing tone with rich overtones that speaks in any size hall and continues to improve over time. I couldn't be more pleased." "I have been enjoying the recent purchase of one of your wonderful violins! I am a violinist in the National Symphony in Washington, DC and purchased the violin through my good friend and colleague, Zino Bogachek. The violin is very easy to play with astonishingly quick response. It possesses a mellow and rich tone and seems incapable of making a bad sound! Thank you for your artistry in making violins of this high caliber at such an affordable price!" "I enjoy the stability, playability and evenness across the strings that my Putsentela viola delivers. It has the depth of sound, projection, beauty and craftsmanship more commonly found in violas from the 18th and 19th centuries. I enjoy playing this viola and look forward to handing it down to the next generation. My compliments and appreciation to the Putsentela Studio." "Instruments made by the Putsentelas family are distinguished from others due their protean tone colouring, evenness, balance and power of sounding that is complemented by the perfect woodwork and varnish coating accomplished in the best traditions of contemporary Cremona.... The rich and diversified sounding palette of each instrument without exception ensures the possibility to find one's own special technique of working with the acoustics of bowed instruments. I am very pleased to be the owner of the instrument made by the family... TUTTI BRAVI!!!" "I fell in love with this violin the very first moment I tried it! I am really impressed with the beautiful sound this instrument produces - it is deep and colourful, pure and intensive! This violin definitely has a soul, which follows every idea of the musician and which I am so happy to get along with. It is a great pleasure to own this instrument! I am very grateful to master Putsentela for this creation! I wish him plenty of inspiration and success in his further work on creating such exceptional and wonderful music instruments!" "Over the time span of more than ten years I remain enthralled with the instruments made by the family of Myroslav, Nataliya and Orest Putsentelas. Having played on numerous modern and early instruments of the acclaimed Italian violin makers, I failed to find for myself an alternative for Myroslav Putsentela's violas. The instruments of Putsentela are characterized by marvelous vividly expressed acoustic and perfect aesthetic qualities. Violas, in particular, possess the exuberant tone colouring, the wide but simultaneously well-balanced dynamic range, and the healthy structure. Currently, I am playing the viola ?&N Putsenteli anno 2010, which gives me a pleasure to enjoy the performance and interpretation of both soloist and chamber symphonic repertoire. I am sincerely grateful to the Putsentelas family for their high professionalism, workmanship, great talent for instrument making, their sincerity and good heartedness. I wish them strong health and much creative success in the future." "During all my musical life I am playing the modern viola. I have only one important requirement for the instrument - besides producing a deep and beautiful melody, it should sound evenly stunning across all the strings. This quality was inherent not to all of the modern instruments, which I have encountered. And this is the even sounding that distinguishes the viola made by the Putsentelas, which I am temporarily using and have a great pleasure to play on. It is a very firm and good instrument." "... Holding the Viola, you forget the whole world... The sounds of music help to escape the daily routine... And only joy and happiness overwhelm the soul... This is because my Viola is a masterpiece of Myroslav and Nataliya Putsentelas, the violin makers famous in Ukraine and the whole world!!!... The Putsentelas family is not just a model to emulate for violin makers, but a sample of PERFECTION, KINDNESS, GENEROUSITY, INTELLIGENCE... . Your instruments, dear Putsentelas, are granted the "ETERNAL LIFE", and personally I am DEEPLY GRATEFUL to you." "Today I managed to watch till the end and penetrate carefully into the recordings of the concert "The Academic Chamber Orchestra "Lviv Virtuosos" on The Instruments Made by The Putsentelas Family"... I must acknowledge my excitement at the sounding of your family's creative masterpieces and the sounding of the chamber orchestra! All the instruments sound fascinating..., in their power and the tone colouring! It seems as if one is listening to an ensemble of instruments selected intentionally from a wealthy western private collection: smooth, deep, passionate!.... I also enjoyed the varnishing... With fascination, Yuriy Korchynskyi." 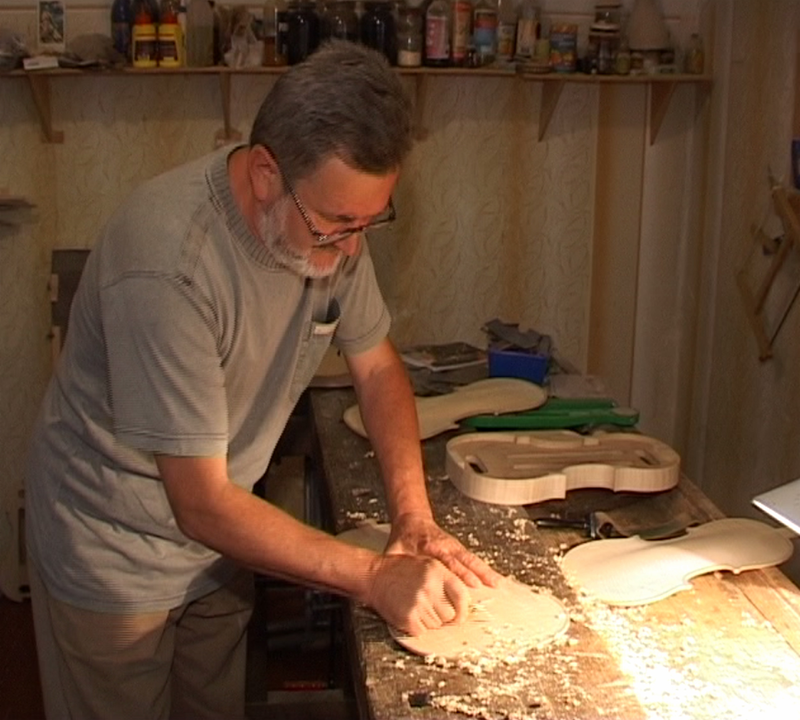 "In 2008, one student from my class bought a violin made by Myroslav and Nataliya Putsentelas. Working with this instrument, we revealed such qualities as evenness of sound across the strings and convenience of the violin neck. 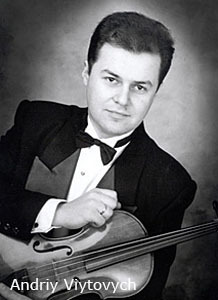 The violin has repeatedly performed as a soloist of the symphonic and chamber orchestras in Odessa and the Crimea. Against the orchestra background, the violin sounded very bright and orotund. The instrument perfectly suits solo performances. In general, we are satisfied with the instrument, its acoustic and aesthetic qualities." 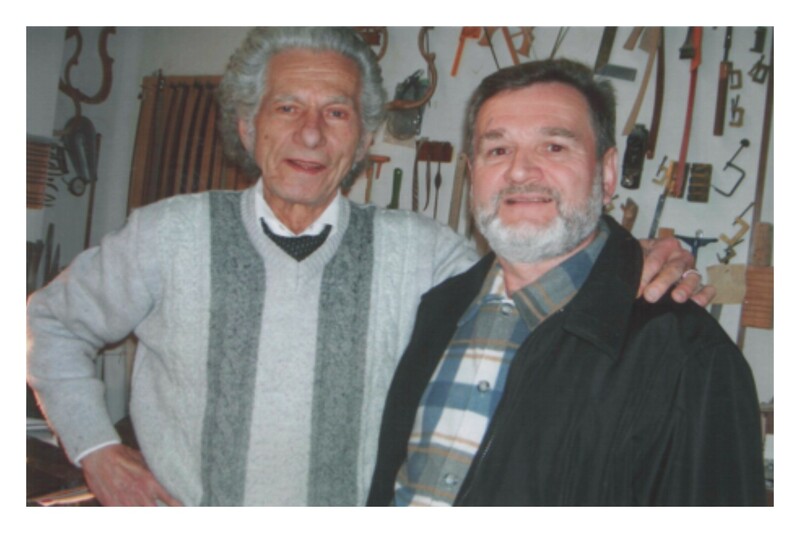 "God be thanked that the outstanding family of violin makers headed by Myroslav Putsentela is working in Ukraine with inspiration and enthusiasm. Violins, created by those passionate people, convey the part of their soul and pour the light of genuine sound harmony. The instruments made by Myroslav Putsentela, his wife and son are characterized by the perfect woodwork. The workmanship of carving f-holes, bouts, and heads of the instruments, is of a high professional level. The careful selection of wood material, the ground glistering like gold, and the perfect varnish that covers the bouts of the instruments allow us to recognize violins, violas, and cellos made by the Putsetelas family without a moment of delay. But the main thing is that sounding of those violins, violas, and cellos meets the highest requirements imposed for the concert instruments. The instruments made by the Putsentelas reveal the depth, intensity and volume of the sound, its flexible and movable character, and the high formant, for which the sounding of instruments made by the brilliant Italian violin makers is so highly appreciated." "Your instruments possess a wide range, and a rich palette of colours and possibilities, about which a classical music soloist can only dream. I am very happy to have been playing your violin (2010) for two years. It has overwhelmed me from the first note; and with the flow of time, the more I play on it, the more it uncovers itself and always grants me with the new possibilities of self-expression. Now I cannot imagine myself with another violin. I am deeply in love with this instrument... My gratitude for reviving the forgotten secrets of Stradivari!!!" "It is a perfect combination of the powerful sound and the noble tone colouring. The cello is responding very well and, due to its large tone palette, is suitable for any kind of music. I was satisfied with the instrument from the very beginning, but every day the cello is being played up and becomes even better, giving me the additional stimulus to work on my musical workmanship. Also I am indulged to listen to the flattering remarks about the powerful sounding and the pleasant tone colouring of the cello, given after the concerts by the professors and the experiences cellists. The cello perfectly copes with any acoustics in any concert hall. A Brilliant Instrument!" "Playing the violin made by Myroslav Putsentela, I have understood how perfectly and accurately the instrument is accomplished. Much pleasant can be said about its sound qualities and the instrument in general! Also, I cannot leave without attention the violas made by Myroslav Putsentela. It is, probably, the achievement of many years of hard work but it is not in vain, since the viola I am currently playing is perfect. The comfortable scale length, the powerful and at the same time tender tone colouring - these are the qualities of a perfect instrument!" "I am playing the instrument made by maestro M. Putsentela with great pleasure. The beautiful deep viola tone colouring, the even sounding across the strings, the comfortable scale length and construction are peculiar to his violas. The viola is very expressive both as a soloist and as a member of an ensemble (orchestra) performance." "I am working in the theatre for more than 30 years. 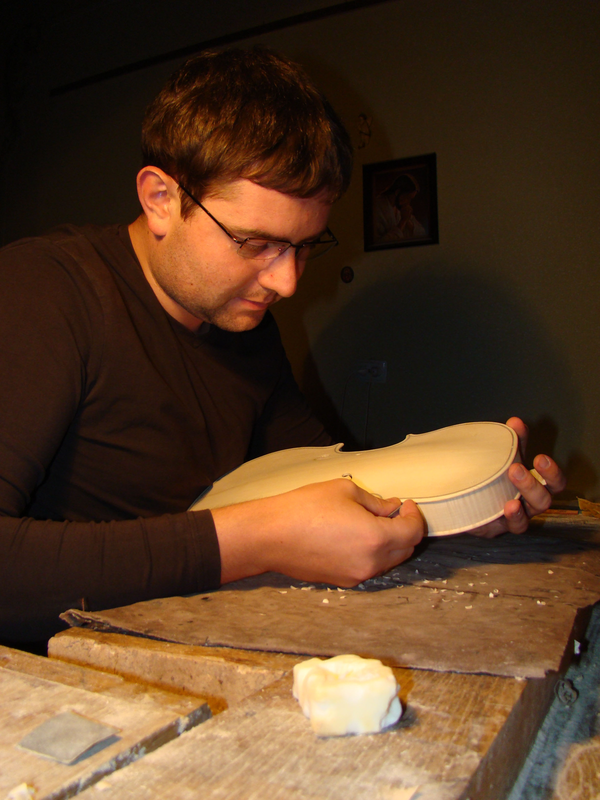 Currently, I have the instrument (viola) made by the violin maker Myroslav Putsentela. The instrument was bought in the year 2006. The tone palette, the power of sound, convenience, and the overtone saturation allow to conclude that the instrument meets the professional requirements of a performer!" 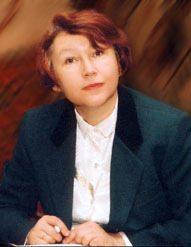 an Honored Artist of Ukraine, a director and conductor of The Academic Chamber Orchestra "Lviv Virtuosos"
"Until now, not a single orchestra has had a chance to achieve the maximum balance and harmony of sounding; such a happy opportunity, however, was given to the chamber orchestra "Lviv Virtuosos". Not a single Ukrainian city could boast the orchestra, whose musicians were performing on the instruments made by a sole violin maker. Therefore, this concert presenting the Putsentelas collection is aimed to demonstrate to Lviv how it is possible to feel the perfection of sounding and the integrity of an orchestra as a unified creative organism; by words of music it appeals to those not indifferent admirers of art and great talent." "The event that was held in the Lviv Philarmonic on February, 4, truly deserves our careful attention, since even the experienced music lovers have never been present on the presentation of the whole orchestra of instruments made by a sole violin maker. The concert of the academic orchestra "Lviv Virtuosos" conducted by Serhiy Burka appeared to be such an extraordinary case. That evening, the violins, violas, cellos and a double bass, made by our contemporary violin wizard Myroslav Putsentela and his family, played the music carefully selected to illustrate that the divergent in style and manner musical compositions of A. Vivaldi and P. Tchaikovskyi, G. Rossini and M. Skoryk, jazz miniatures and Latin American tango can be performed on the instruments of the Ukrainian Stradivari naturally and with flair. The audience has duly appreciated the accuracy, softness, and subtle gradations of the sounding; but what is most important - they felt the integrity and harmony of twenty musicians seemingly united by a huge vociferous instrument. Nobody fell out from this stunning harmony with its too sharp or too flat tone, but, on the contrary, their sounding reminded a peculiar "army of generals", since each musician of the orchestra could any moment become a soloist. Obviously, the most deep and mature were the performances with a famous Lviv musician Volodymyr Duda as a soloist; however, the young Roman Soltys, Roman Sokruta, Yarema Pavliv, Denys and Dana Lytvynenkos, and other members of the orchestra, who went on the forestage as soloists, attempted to meet the high standards set by their proclaimed colleague. Besides, the performance of such a virtuosic and diversified concert bill deserves our approval even taking into account the fact that the musicians had a chance to practice on the new instruments only for seven days. 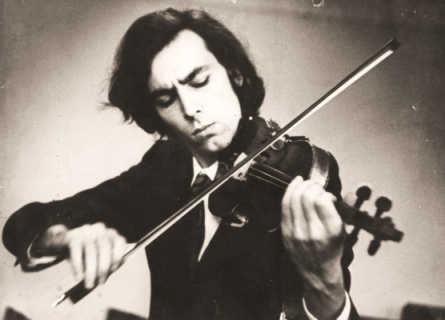 Myroslav Putsentela, who out of his 400 instruments intentionally selected an ensemble for "Lviv Virtuosos", was touched by the applauses of the sophisticated Lviv audience, which honorably distinguished his remarkable and so rare nowadays talent of a violin maker." The Lviv Philarmonic, a director of the chamber orchestra "Leopolis"
"During almost 10 years of giving concerts on the cello made by Myroslav and Nataliya Putsentelas, I have performed the diversified repertoire of different genres and in different chamber casts. I can conclude that the cello easily responds and is extremely timbre (produces deep low tones and silver high tones), its sounding is floating and full even in the halls uncomfortable for performing. With its tone colouring and power of sound, the instrument has been ahead of practically each cello, with which I had to play in trios or duets. A brilliant instrument!" "I have been playing on the instrument made by M. Putsentela for already 11 years. Much has changed during this time: out of a school pupil I have grown into an adult musician, have finished the conservatory and the postgraduate studies. The cello has always been besides me, it changed and "grew" together with me helping to overcome the difficulties on the challenging path of a musician. Every day when I sit at the instrument, I derive a great pleasure from the sounding and the energy shed by it. After each performance I am indulged to listen to the flattering remarks on my instrument. As David Garingas claimed about it: "It uniquely combines the powerful sounding and the extraordinary softness of the tone colouring. A brilliant instrument!" The Lviv Philarmonic, The Academic Chamber Orchestra "Lviv Virtuosos"
"When I saw the double bass in the workshop of the Putsentelas family, I did not believe my own eyes. Just like a violin, it looks perfect; the accurate workmanship of each detail along with the one-of-the-kind whirlpool crimson varnish is impressive. I have been playing on the instrument for already two years and each time I convince myself that its sounding is perfect. All the ranges of such a big musical instrument sound with natural ease wherever that may be and under any circumstances: either in orchestra, in ensemble or as a soloist, in a concert hall or in a class room. Taking into account the specificity of a double bass, it is always challenging to fight the acoustics, but this remark does not concern the double bass made by the Violin makers from the capital letter - Myroslav and Nataliya Putsentelas. It always has a soft deep piano and a piercing forte. Playing on the instrument, I understand (assure myself) that it was created with a huge love and that the violin makers managed to put a soul into the double bass, which has its life, its character and its beauty." "It was my pleasure to perform recently one of the concert bills of "Lviv Virtuosos" on the instrument made by Orest Putsentela. Initially, it seemed difficult to master a rather complicated bill on a new violin over the time period of one week; however, the violin turned out to be so masterfully accomplished that there were no difficulties with adaptation but, on the contrary, I was surprised how easy and comfortable it is to play on it, and how clearly it responds to every touch of fingers and a bow. The violin was very "fresh", but every day the powerful sounding potential imposed in it became increasingly felt. Therefore, I was down in the dumps when I had to part with it after the concert. I hope that once I will certainly have a violin made by the Putsentelas family. I wish them strong health and inspiration to create such marvelous instruments." "The cellos made by Myroslav PUTSENTELA are characterized by the richness of tone colouring and the strong even sounding. Starting with the year 2006, the cellos have shown themselves as both good orchestra instruments and as qualitative solo instruments with the intense velvet tone colouring and the richness of the palette that grant the possibility to convey the most subtle nuances, shades and dynamics to the audience. Besides, their wonderful sounding is complemented with the aesthetic execution and the perfection of form accomplished in the best traditions of classical instruments!"